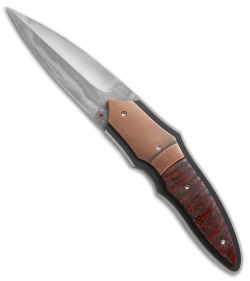 This X-Plain model sports a red stabalized Pod handle with bronze bolsters and a hamon finished blade. 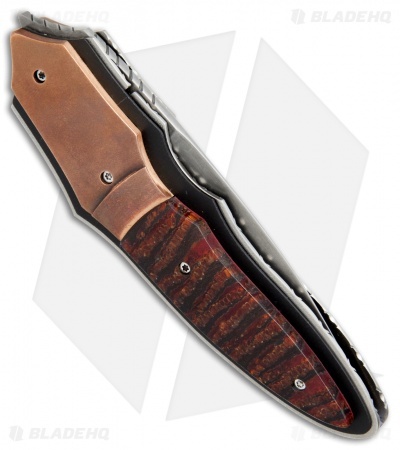 The X-Plain flipper from Corrie Schoeman offers a collectible design with unparalleled fit and finish. This model has has a rustic red pod handle with bronze bolsters. The ball-bearing pivot provides smooth, effortless action. 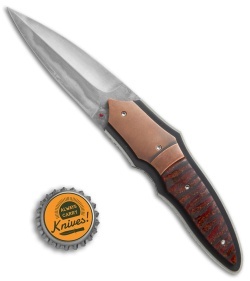 It has a titanium liner lock handle with black G-10 onlays. This knife has been embellished with filework on the blade spine, liners and back spacer. 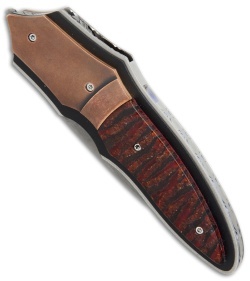 A pearl inlay on the spine of the blade adds an elegant finishing touch to the piece.